When I started out in this amazing world of building a creatively made business I had no idea what I was doing, no one to ask for help and we more often than not went with our gut and hoped for the best. Probably not the best way to figure out a business but it definitely helped us to learn quickly and what direction worked for us. Over the years as I have learned I have tried to share our journey in online courses, free series, blog posts and through public speaking. I am a huge believer that we need each other and we all have something to gain by sharing our knowledge. Each year as our business has grown we have had more and more people contacting us with questions and asking for help with their own creative business journey. We have quietly and slowly been working with different business owners over the past years and sharing our knowledge, experience and advice regarding their own business and growth. This has been such a fun way for me to connect with other business dreamers and owners and I wanted to let you all know that we are opening up more spots each month to connect in this way! 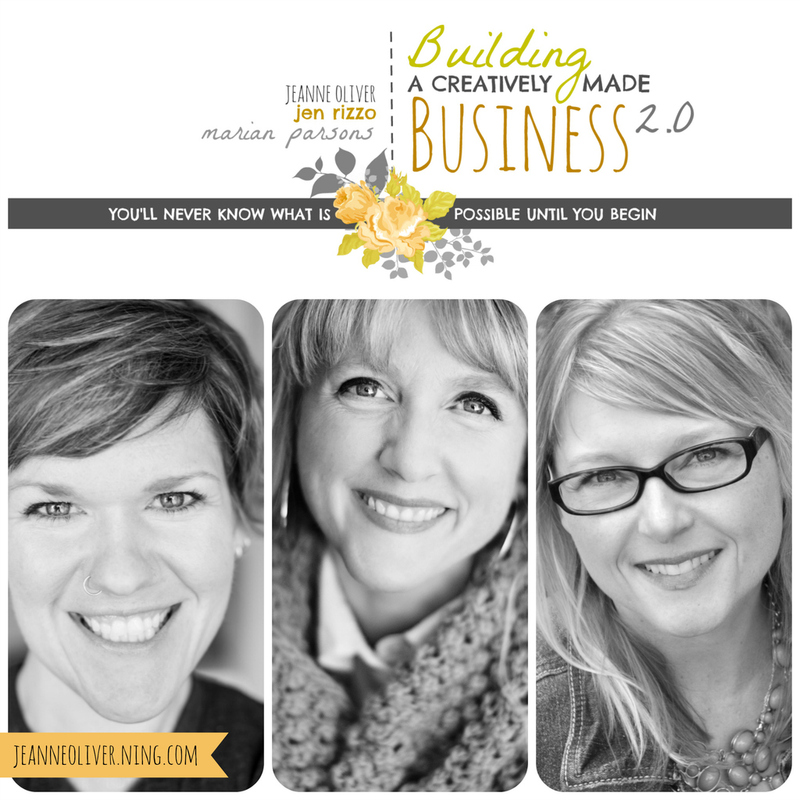 I am thrilled and excited to officially announce that I offer creative business consulting. So, what does that mean and what does that look like? We will schedule a time to either talk on the phone, in person or online through Skype. Before we “meet” you will receive a set of questions that help me to understand you and your business better. I then review your answers and come up with questions and ideas before we even talk for the first time. I am honoring of your time and we get to work right away on your answers and brainstorming. If you loved our time together we can schedule another appointment either weekly, monthly or when you need a little extra help. 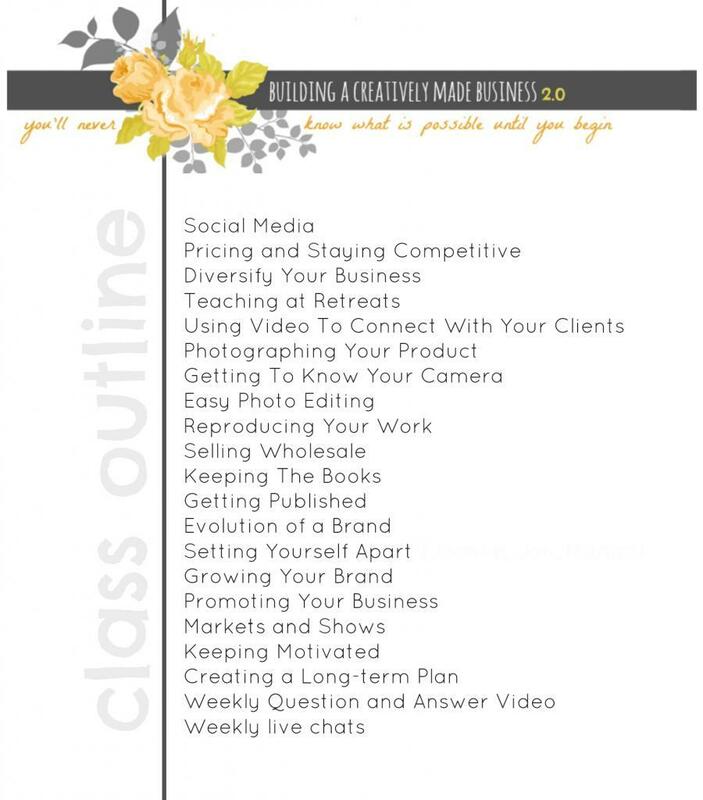 Building a Creatively Made Business 2.0 is an online course with over 80 videos full of information. This course is instantly available to work through at your own pace and at your convenience. We will cover our creative journey, getting started, websites, balancing your creative life with your home life, photographing your product, pricing, wholesaling, setting yourself apart, growing your brand, creating lookbooks, e-courses, markets and shows and SO MUCH MORE! Come on over to our creative network and read more.